Penelope Bloom is a four-year-old detective ballerina. She is an adorable, rough and tumble, curious, and strong-willed child who loves to wear tutu’s and princess dress-up clothes while solving mysteries with her friends. She is not a “princess” like you’d imagine the perfect child, but utterly loveable in all her less than perfect ways. Tricia Bos ( illustrator) and I are working to develop a series of children’s books based on this beloved character. 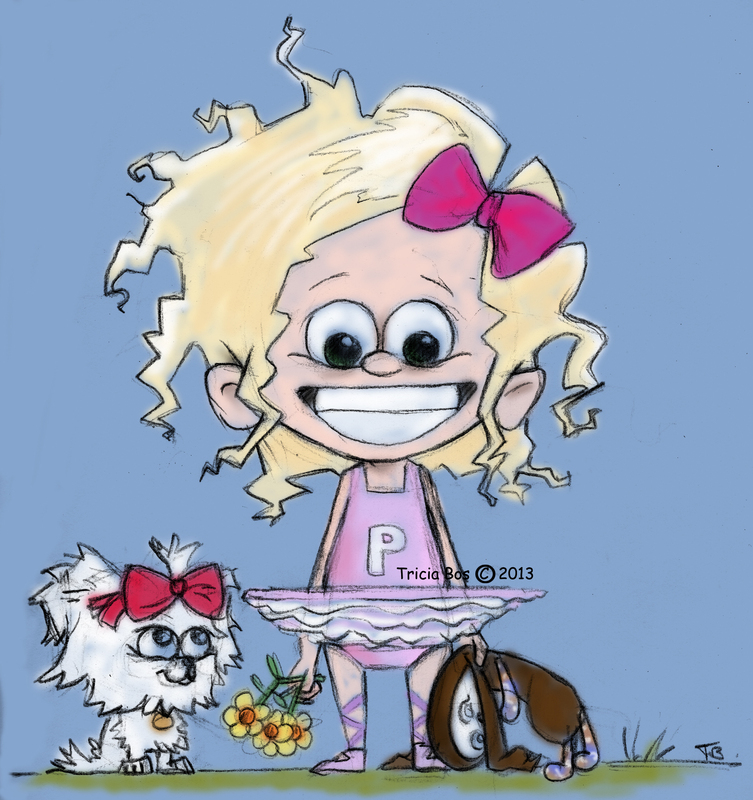 To learn more about Penelope Bloom and our writing/illustrating process, please visit www.penelopebloom.com.